It’s no secret that Whitehall has had an elevated level of Sasquatch sightings. The mythical animal is as much a part of the town’s persona as the railroad is. It is exactly because of this heightened level of sightings that the state Department of Environmental Conservation, in an act that is 180 degrees from a previously released statement six years ago, will be issuing a limited number of Sasquatch hunting licenses this fall. Sportsmen can begin applying for the permits, of which there will be only 50, beginning Saturday, Sept. 1. 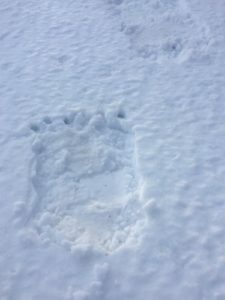 State officials made a point of emphasizing that each permit will only carry with it one tag – no one is entitled to bag more than one Sasquatch. Editor’s Note: This story is completely false and is only intended for humorous purposes. It is not in any way, shape or form meant to be taken seriously. Enjoy the satire. April Fools! !